The student-led Service Cluster Board provides "flexible funding" from the SGA Finance Committee for student volunteer initiatives. Read the guidelines and submit an application for funding your volunteer service project. Questions can be e-mailed to the Service Cluster Board. This mini-grant program is for student initiatives involving community action: Community Engagement helps students fund independent activities and/or projects that are not otherwise fully funded by another department or student organization. Applications should be submitted at least two weeks prior to the date of the proposed activity or project. Past mini-grant awards have included funding for conference fees, transportation, project supplies, postage, film screening rights, and community-based research-project expenses. Note: Mini-grant funding is not available for summer initiatives. For all international internships and service work, please apply for Cross-Cultural Community Service Fund Grants rather than Civic Engagement Mini-Grants. The CCCS Fund supports international community service, advocacy, and activism: The fund is endowed by a Middlebury Class of 1987 alumnus and supports international service-learning and community-building internships and/or related volunteer service opportunities for undergraduate students. These internships and service initiatives may be student designed; preference is given to those opportunities in a culture distinctly different from the applicant’s background. Funds are available throughout the academic year and for summer experiences. The Academic Outreach Endowment Fund provides financial support to both faculty and students for pursuits that involve community-connected teaching, learning, and research. Examples of these kinds of approaches include project-based learning (when there is a direct community connection), service-learning, community-based learning, participatory action research, and more. Click here for the AOE information page and FAQ. Check with the Student Government Association (SGA) Finance Committee for information on funding for student groups. Read about Student Organization Resources. Be sure to read the guidelines carefully about student fund-raising on campus—many restrictions apply. IMPORTANT NOTE: in most cases, with the exception of the Flex Fund, funding that is provided to a student as a grant or as reimbursement for personal and/or travel expenses is considered aid, and therefore, taxable income. The Student Funding Database is an extensive listing of funding sources—both internal (Middlebury) and external—that has been compiled for Middlebury students and young alumni to search. If you are seeking ways to fund your internship, research, independent project, or other projects, this is a great place to start. Check with your academic department to see if there are specific funds set aside to support students' experiential education in their program. Davis Projects for Peace is an initiative for students to design their own grassroots projects for peace, anywhere in the world, that they themselves will implement. Environmental Council Grants Program funds proposals for projects related to sustainability. Preference is given to proposals that address issues related to transportation alternatives and food and dining. Project on Creativity and Innovation in the Liberal Arts provides space in which to work and receive support from peers, in addition to mentoring and funding for pursuing creative, innovative projects. RCFIA International Research Travel Grants support overseas research for juniors preparing to write senior theses. The Senior Research Project Supplement is a competitive grant available to students pursuing senior research projects that require an unusually high degree of financial support. Academic Conference Travel Fund supports students presenting research at academic conferences. The RCFIA International Research Travel Grants fund overseas research for juniors preparing to write senior theses. The Senior Research Project Supplement supports travel and other expenses related to senior work. Individual academic departments may also have funds available to support students in their programs. Funding for your experience can come in many forms and from many different places, on and off campus. 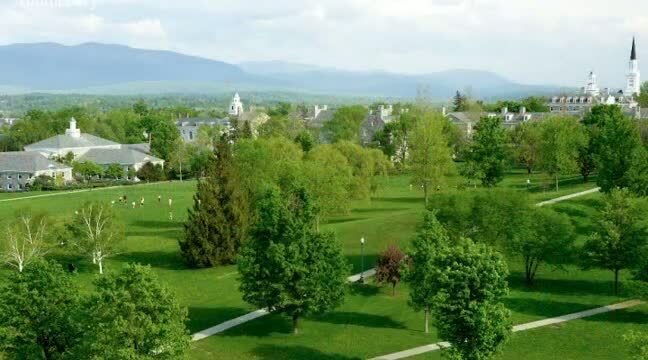 There are three main sources of funding described on this page: funding through CCI offices (for Middlebury students), funding through other Middlebury offices (for Middlebury students), and external non-Middlebury sources. See the links below and the list of Middlebury-funded Opportunities on the left for the range of resources to help fund unpaid internships, attend conferences, complete your service projects, participate in international volunteer programs, perform public service projects locally, and more. The Center for Careers and Internships (CCI) is pleased to announce funding for this year's unpaid internships. This page has been updated to reflect the new application process. Please read the Internships Funding FAQ section carefully for the detailed information you need. If you still have questions, come to Quick Questions hours (Mon–Fri; 1:30–3:30 p.m.) to talk with a career adviser. Click here to learn more about funding opportunities as fellowships and scholarships. Student Funding Database is an extensive listing of funding sources—internal (Middlebury) and external—that has been compiled for Middlebury students and young alumni to search. If you are seeking ways to fund your internship, research, independent project, or other projects, this is a great place to start.